When you first walk into town from the parking lot, the large building on the left is the Methodist Church. 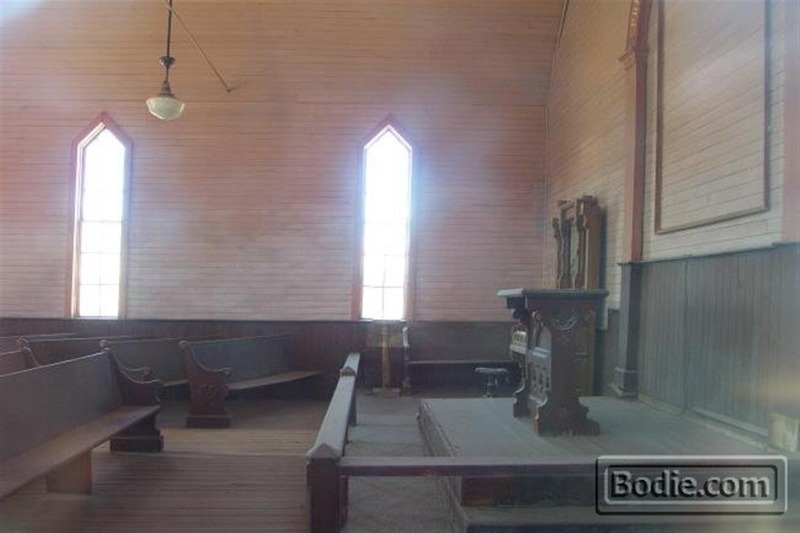 The structure was built in 1882 and was one of the two churches in town. There were about 65 saloons. 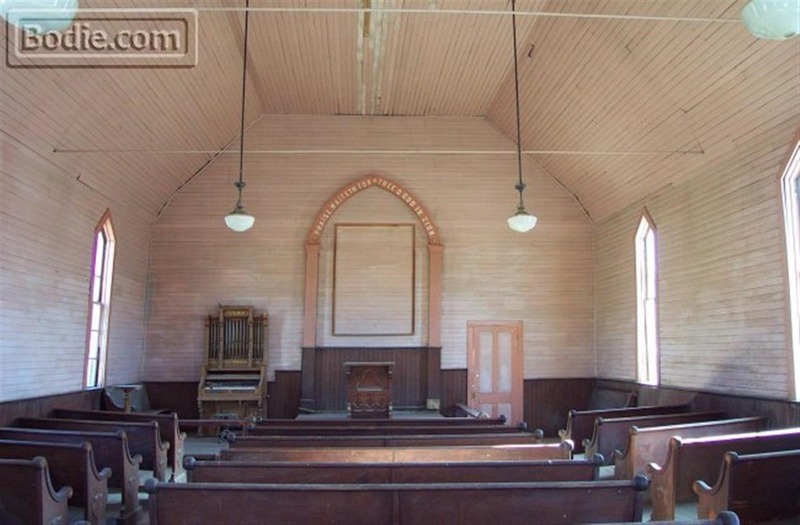 The last standard church service was conducted in 1932, when all but a few families had left Bodie. The small wooden structure to the front-right of the entrance is a wood shed that was added on after the church was originally built. 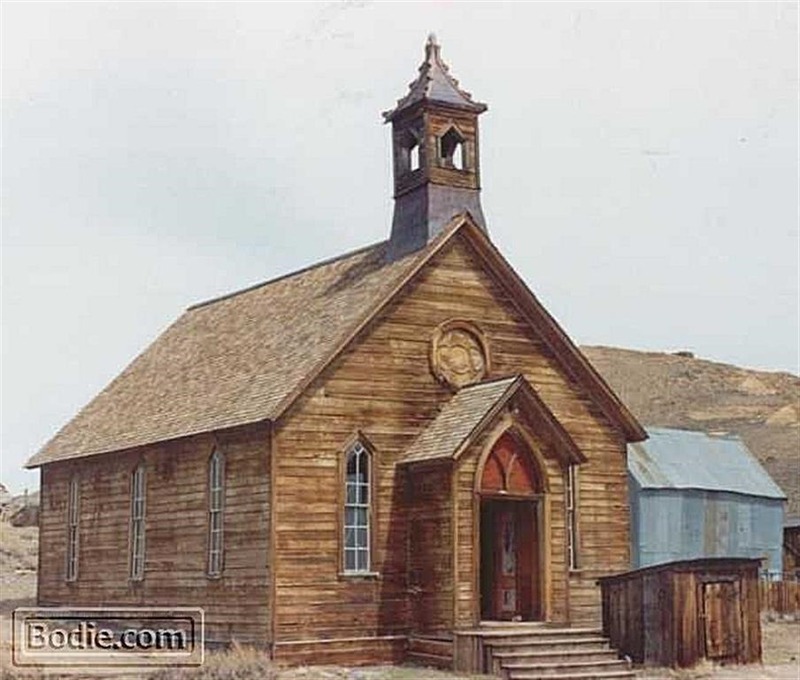 There were no churches in Bodie until 1882, although there were two preachers; Reverend Hinkle – a Methodist, and Father Cassin – a Roman Catholic. They originally held services in private homes, then in the I.O.O.F. Building or the Miner’s Union Hall. In 1882 Reverend Warrington, who replaced Rev. Hinkle, purchased the lot at the corner of Green Street and Fuller Street, and commenced the building of the Methodist Church. Also in 1882, the Catholic Church was under construction. 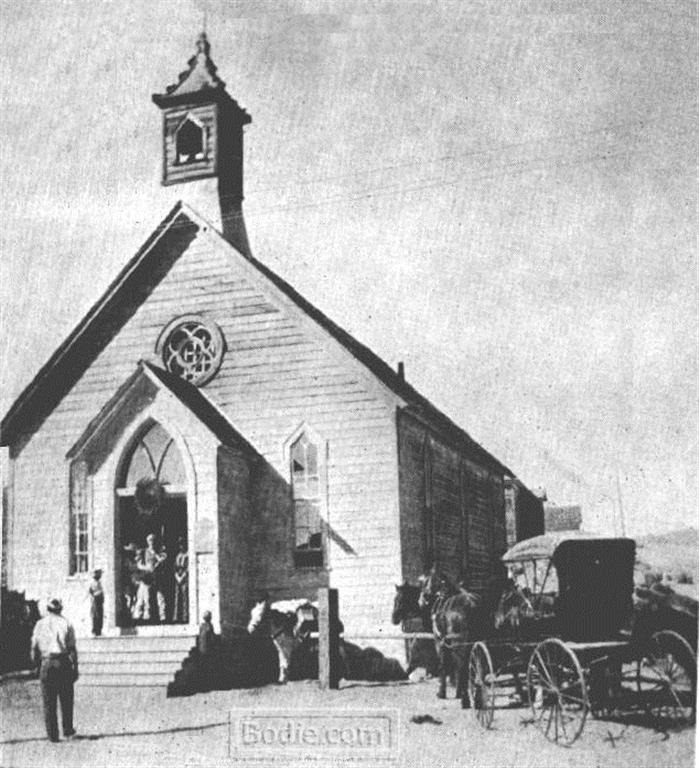 The Catholic Church was located on the corner of Wood Street and Lowe Street, and was dedicated on September 10th, 1882 – just five days before the first gathering in the Methodist Church. How interesting that this booming town had gone for years with no official church buildings, then two were ready and being used just a week apart from each other. A year earlier, in 1881, the population of Bodie dropped from 7,000-10,000 people to around 3,000. Notice "The 10 Commandments" oilcloth is still in the church in this photo. The oilcloth was stolen (#8) some time before California turned Bodie into a State Park.